Last August, Weitz delivered the first 144 beds at Park West, a year ahead of the project’s August 2017 completion date. “On a project of this size, having beds open early can be a tremendous asset,” Michael Short, Servitas’ COO, explains to BD+C. “It starts to set the culture for what it will feel like to live at Park West, and builds awareness and interest among the student body. The one- to- four-bedroom studio, apartment, and garden-style units are renting for between $600 to $1,000 per month. When a student housing project can’t open when the school year begins, it loses the opportunity to lease those apartments for at least another seminar, or more. Aside from Weitz, the Building Team includes the Boca Raton, Fla., and Houston offices of PGAL (design partner); Power Design Inc., Kilgore Mechanical, Coleman & Associates Landscape Design, Moss Construction, and Godfrey Construction. Subcontractors include Larry Young Paving and RSL Contractors Ltd.
Park West is the university system’s fifth student housing public-private partnership in Brazos County, joining White Creek Apartments, U Centre at Northgate, Easterwood Airport and Century Square. 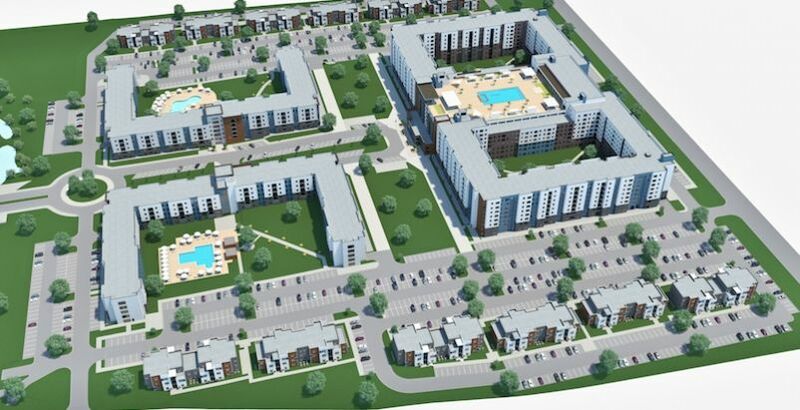 Its $368 million development and construction cost—which Short believes is the largest single new-build student housing P3 to this point—was financed upfront with tax-exempt bonds. The project is expected to generate $600 million for the university system of the life of its 30-year ground lease to its owner, the nonprofit National Campus and Community Development-College Station, which paid $18.5 million upfront, and will give back $20 million in revenue per year to the system. Servitas’ initial management contract is for five years. But Short hopes his company will prove itself to the university so that the service contract would be extended at least the life of the ground lease, and possibly beyond.